Chakra is a Sanskrit word meaning “wheel”. A chakra is like a vortex: a constantly revolving wheel of energy. These vortexes connect the subtle bodies and act as transducers for life-force energy. The chakras distribute the life force through the physical and subtle bodies. They are the source of physical, emotional, mental and spiritual energy. Traditionally, there are seven major chakras associated with the physical body. They are aligned with the spine and located in the base of the spine, the lower abdomen (sacral), the solar plexus, the heart, the throat, the centre of the forehead (third eye), and the crown of the head. 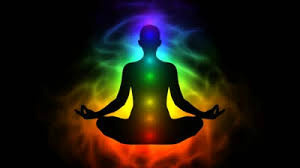 When our chakras are blocked, or not in balance, the free flow of energy is impeded, leading to physical, emotional, mental or spiritual dis-ease. When the chakras are unblocked and free-flowing, we enjoy optimum health. Each chakra is associated with specific colours and crystals and governs different aspects of human emotion and behaviour. Using gemstones with the chakras can have a great healing effect. Crystals can be used for balancing and healing our chakras. To do this, you will need seven stones - one for the colour of each chakra. Gemstones : Smoky Quartz, Tourmaline,Obsidian, Jet Stone, Onyx, Hematite, Red Tiger Eye, Red Garnet, Jasper, Agate, Black kyanite, Araagonite, Labradorite, Seraphinite, Pyrite, Red Spinel, Red Coral, Ruby. Gemstones : Amber, Citrine, Carnelian, Breciated Jasper, Orange Kyanite, Peach Moonstone, Sunstone, Orange Coral, Tourmaline, Agate, Rutile Quartz, Pyrite, Ruby. Gemstones : Citrine, Iron Pyrite, Yellow Topaz, Yellow Sapphire,Tiger Eye, Rutile Quartz, Aragonite, Amber, Rhodocrosite( Calming ), Fire Opal. Gemstones : Rose Quartz, Aventurine, Emerald, Jade, Kunzite, Malachite, Peridot, Tourmaline, Morganite, Ruby, Garnet, Rhodonite, Rhodochrosite, Pink Coral, Fluorite, Chrysocolla, Chrysophase, Muscovite, Green Kyanite, Moonstone, Phrenite, Green Kyanite. Gemstones : Blue Apatite, Aquamarine, Lapiz Lazuli,Turquoise, Calcedony, Blue Lace Agate, Blue Kyanite, Azurite, Amethyst, Blue Topaz, Tourmaline, Amber, Kunzite, Lepidolite, Blue Opal, Labradorite, Iolite, Blue Moonstone, Blue Sapphire, Tanzanite, Blue Fluorite, Amazonite, Dumetorite, Sodalite. Gemstones : Clear Quartz, Amethyst, Kunzite, Apophyllite, Celestite, Muscovite, Selenite, Calcite, Hawolite, Tourmaline, White Opal. 7 Stone Chakra Bracelet - BUY NOW !